Are you sure you are living in a secure estate? The difference in house prices between houses in the suburbs and those in secure estates is enormous. The latest statistics show you can pay double or more for the same house if it is perceived to be located in a secure estate. But what is a secure estate? Simply having an electric fence and a guard at the gate does not make it secure. 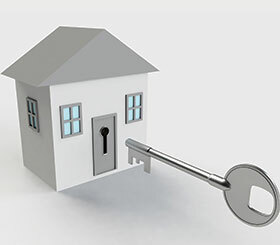 SAIDSA developed the questionnaire below to help estates discover how secure they really are. Go through the questions below, and give yourself one point for every ‘yes’ answer to discover if you are really living in a secure estate. 1. Does the body corporate/homeowners’ association always buy security solutions based on proven quality, reliability and effectiveness for your environment? SAIDSA comment: If your answer is ‘no’, make sure that somebody investigates alternative options. It will only take one homeowner to take on the trustees/body corporate for failure to fulfil their fiduciary duty on providing security at the estate. 2. Does your electric fence have zones to allow for easy identification of exactly where the alarm is? SAIDSA comment: Make sure that your fence is zoned in not more than 100 m sections and you have at least a mimic panel at the main entrance gate indicating the section of trouble/intrusion. 3. Do you only use certified installers (certified by SAIDSA and with the appropriate vendor certifications)? SAIDSA comment: Make sure that the installers/maintenance teams are at least PSIRA registered. 4. Do you have visual verification on the perimeter? 5. Do security personnel have full access to the perimeter all the time? SAIDSA comment: If not, then visual verification on the perimeter is a must. 6. Do you have a maintenance programme in place to ensure the optimal functioning of your security equipment? SAIDSA comment: Make sure somebody on the body corporate or homeowners’ association takes ownership of this task. 7. Is the movement of people in and out of your estate electronically recorded and backed up? 8. Do you verify the identities of people renting or buying on the estate? 9. Is there regular, open and constructive communication between the estate’s residents and committee, and the security service provider(s)? SAIDSA comment: Communication is the most important part of the chain of security. 10. Do you verify that the products you install are certified for local use? Are they quality products with a local representative and warranty for backup and support? SAIDSA comment: This is a difficult one as there is currently no organisation that certifies electronic security products besides products that need to be ICASA approved. SAIDSA suggests you make sure that the supplier of products you select is a member of ESDA. If you scored less than 7, you are not living in a secure estate. Johan Booysen, SAIDSA’s chairman, comments: “Security isn’t something you can buy. It should be a way of living. Security should start within our own attitude and at your own home. From there you should form partnerships with neighbours, your security company, CPF and SAPS. “Even if you are in a security estate you still have open common areas that are unprotected and potentially dangerous areas. My suggestion would be that even if you reside in a security estate, act as if you are still in a normal suburb. This would give you the extra layer of security provided by your estate/body corporate as well as your own security system where you have full control. The South African Intruder Detection Services Association (SAIDSA) is an association of service providers of security systems, ranging from basic alarms to sophisticated electronic intruder detection systems and CCTV, incorporating signal monitoring as well as the provision of armed reaction services. SAIDSA is regarded as the watchdog of this segment of the industry and has the interests of both its members and the public at heart. It is the representative employer body for the industry in South Africa. The objectives of the association include a continuous evaluation of the development and the adequacy of skills in the industry, to upgrade the quality and standards of electronic security in South Africa, and to protect the public from unscrupulous, fly-by-night operators. All companies listed on SAIDSA’s Approved Register have complied in every way with stringent standards that have been laid down by SAIDSA in regard to control rooms, installations and reaction services and are continuously inspected to ensure continued compliance. A complaint against an approved service provider will be investigated by the Executive Committee of SAIDSA and, if not satisfactorily resolved, the member may be removed from the register. SAIDSA appeals to all members of the public, commerce and industry to consider the importance of selecting a reputable company. This Register of Service Providers has been compiled to assist in making the right choice and is available to all interested parties.